The following photographs show particulate matter escaping from the SouthDown, Inc., cement processing plant in Lyons. 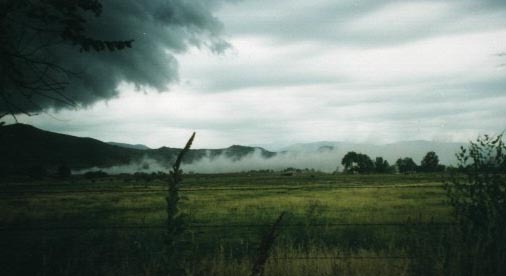 The Watchdogs started photographing these clouds in September 1997. The last 2 photographs show fugitive dust from a baghouse pit at the South end of the plant. 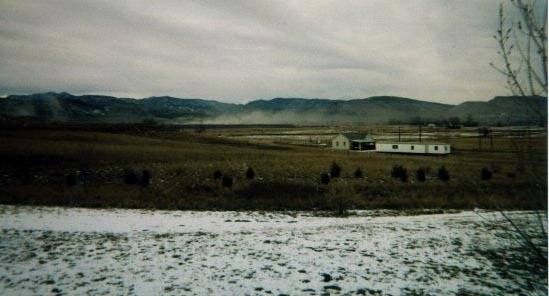 Since these photographs were taken, our efforts have resulted in increased government pressure on Southdown Corporation, which as since covered its baghouse dust in the "old" quarry (which has been blowing into our homes and lungs) and install a sprinkler system to contain the dust in the "new" quarry. The day of the meeting between the Watchdogs, local residents, and five Southdown managers. 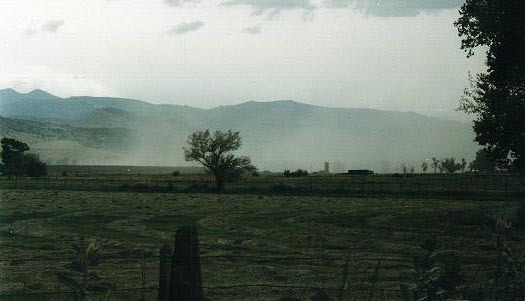 The fugitive baghouse dust cloud is heavy around the plant and has started escaping into the valley. The fugitive baghouse dust cloud has been brewing long enough for a thick cloud to escape the site. What's in this stuff anyway? Has Southdown Corporation analyzed it? Has the State of Colorado characterized it? 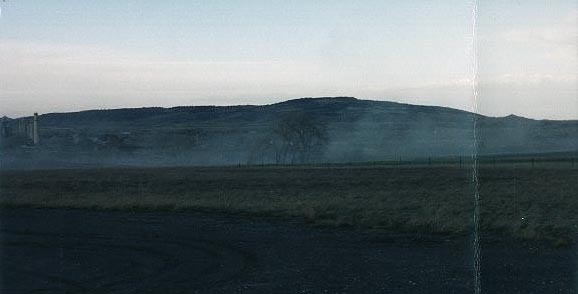 These photographs show a fugitive dust cloud forming and then escaping from the Southdown cement processing site. Where's our view of the mountains? itself in its own fugitive dust cloud. Who's next? Well, after obliterating itself from view, it looks like this neighboring farm to the North is just about to disappear from view. 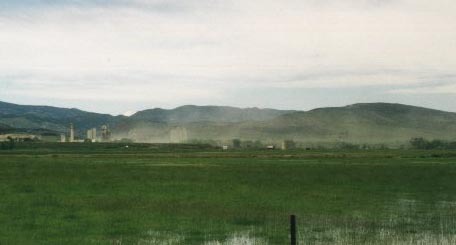 Baghouse dust pits at the South end of the plant. After residents complaints, media exposure in local newspapers, and a directive from the Colorado Department of Health and Environment, Southdown Corporation covered these pits -- it still took 91 days after the directive for Southdown to comply.